Portabello Burgers were something that seemed logical to try during our 30 days of vegan. People always describe portabello mushrooms as being very “meaty”, so it wasn’t a big leap to plan to marinate and season the mushrooms and put them on the grill. They even almost look like burgers when they’re on the buns. The most important part of this is that these portabello burgers are delicious. Everyone in our family really enjoyed them, and since I made extra, I took them to work and shared with my coworker who also gave the recipe a thumbs up. Turning a mushroom into a burger required some additional spices and a tasty marinade. I wanted to use worcestershire sauce, but I hadn’t purchased a vegan option when I made this recipe, so instead, I combined red wine vinegar with soy sauce and olive oil along with some herbs and spices to add extra flavor to the burgers. Even Baker’s Man, a committed carnivore, admitted that he liked these and “gave me permission” to make them again. (Don’t tell him, but I don’t need his permission.) If he liked them, they had to be good. Who knew that a grilled mushroom served on a bun could be so delicious? These would also be good grilled and sliced before being served on top of either a salad or a bed of grains. 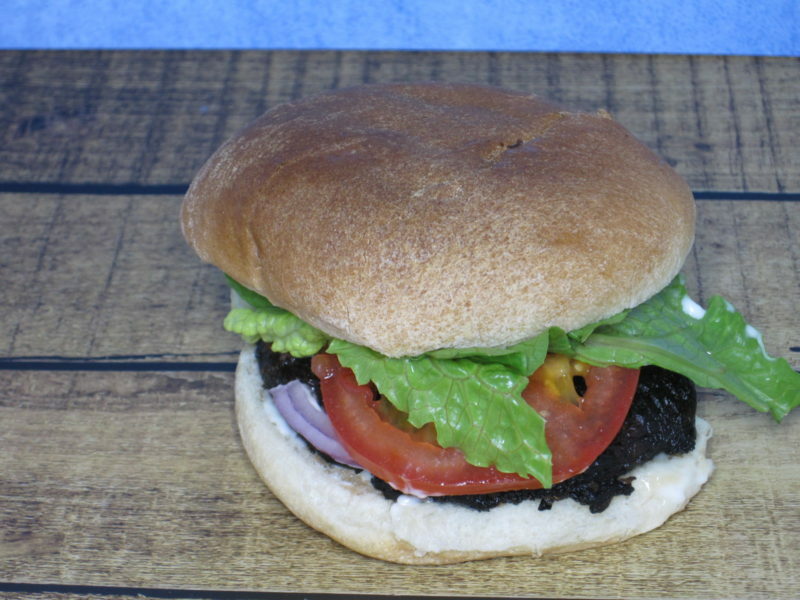 This recipe for Portabello burgers is a great vegan option for backyard barbecues, and the resulting burgers are delectable. We will definitely be making them again, even when we’re not being vegan. The “burgers” were served on whole wheat buns and topped with lettuce, sliced tomato and red onion, and some vegan mayonnaise. Lemony Celery Salad and Texas Caviar were served on the side. If you wanted to have a full blown vegan barbecue, Portabello Burgers and Carrot Hot Dogs on the grill and a few vegan salads and desserts would be all you would need to make your guests happy. 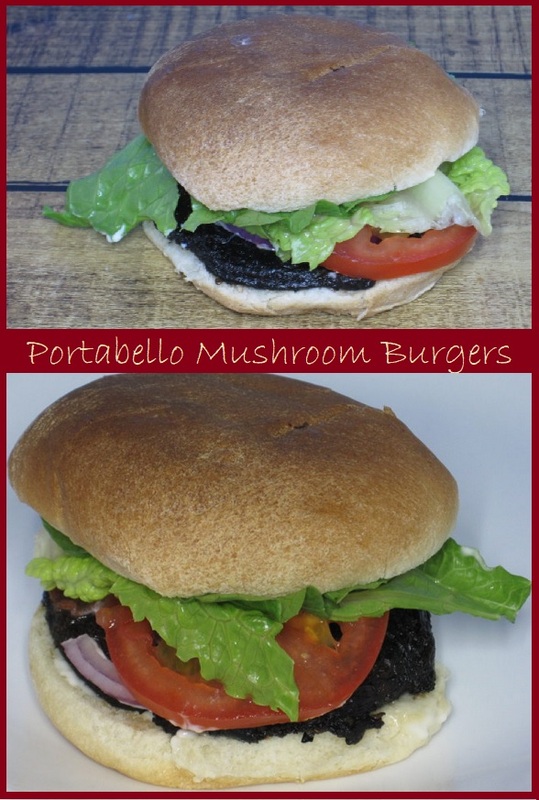 Give our recipe for Portabello Burgers a try and let us know what you think by leaving a comment below. Portabello mushrooms make the perfect substitute for a regular burger and are a great way to include vegans or vegetarians in your next backyard barbecue without having to buy exotic ingredients. The total cost of the recipe is $3.52 or about $0.88 for each mushroom "burger" without the bun or toppings. Mix together red wine vinegar, soy sauce, olive oil, granulated garlic, granulated onion, dried oregano, and black pepper. in a shallow dish that will hold all 4 mushroom caps. Place mushrooms, gill side down, in the marinade. Allow them to soak for 15 minutes, flipping them over every 5 minutes. Preheat your grill and brush the grate with olive oil. Place mushrooms, smooth side up, on the grill and grill for approximately 5 - 7minutes per side or until they are tender, brushing frequently with the leftover marinade in your dish. Serve on hamburger buns with vegan mayonnaise and topped with your favorite burger toppings. 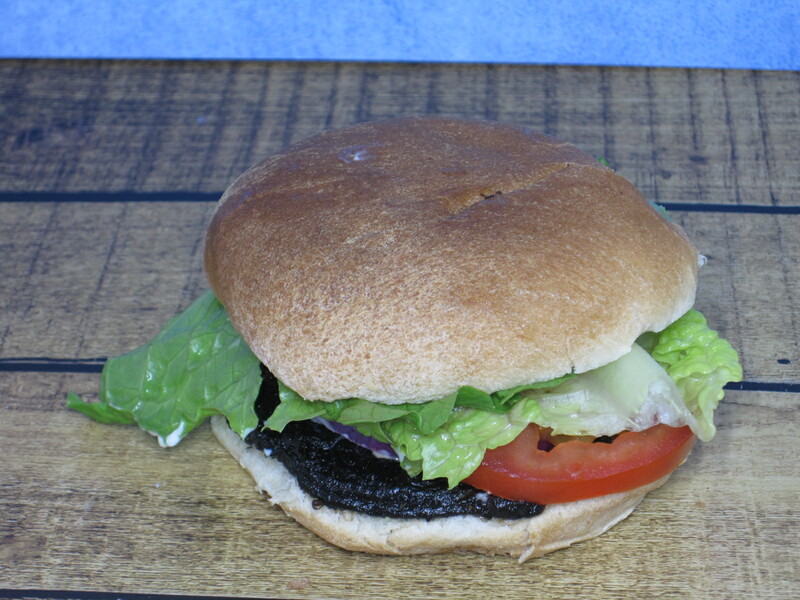 Nutrition Information is for one Portabello Mushroom prepared according to recipe above served without a bun or additional toppings.